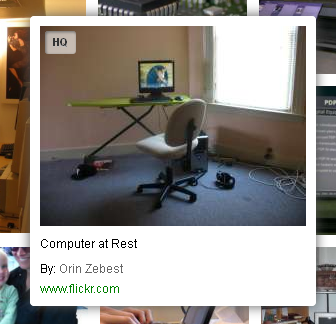 Yahoo Search Engine has improved their image search support to find public Flickr photos also. Flickr is an online picture uploading and sharing site you know already, that has contains tens of millions of photos. Using Yahoo! Image search you can easily find photos from Flickr that are available for re-use or reposting under creative common license. Yahoo makes it easier than before to search photos and share on the web and mobile devices. Using images on the website has a problem of copyright. A lot of photos found online have some copyright issues for their images. Without a proper permission, we do not post one’s images on our site. So we have to use our original images or free licensed photos provided by some websites. Flickr is such a useful website to find free licensed photos to reusing in our sites. With this integration of Flickr Photo search on Yahoo will be the good news to picture finders. 1. Go to Yahoo! Image Search on the web or any other devices. 2. Search the images with any keyword and then all types of images listed in the search results. 3. 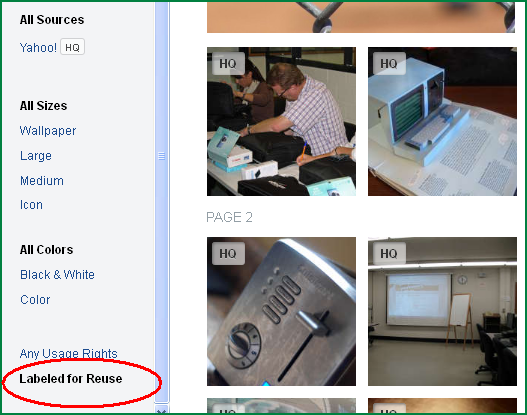 If you want to get only free licensed photos that you can reuse, click on the link “Labeled for Reuse” filter on the left rail tab. 4. To know more about an Image: Just hover over the thumbnail to see the details about the photo, including the photographer’s name. You can click the thumbnail to full view and attribution link shows about the creative common license. If you want to see that particular photographer’s album, just click on "i" button in the full image view. This feature available on Yahoo! Image Search across the web, tablets and mobile device.